Karen T. Bartlett is the founder of Mostly Kids' Guides, and also the author and Adventurer in Chief. She is an award-winning author of 11 destination travel books. Hundreds of her travel article and photos have been published in magazines, newspapers and visitor guides in several countries. 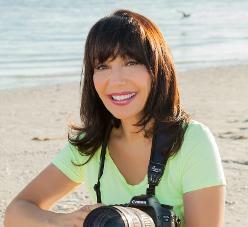 She's a member of the American Society of Media Photographers, and the Society of American Travel Writers. She's originally from Savannah, Georgia. Before becoming an author, she was president of one of the largest public relations firms in the Southeastern United States, providing boutique services for major companies including Coca Cola USA, Hartsfield Atlanta International Airport, the southeastern regions of Coldwell Banker and SAS Airlines. When her (now grown up) children were small, the family moved to Naples, Florida, and the adventures began! Karen became the travel editor of Gulfshore Life magazine, and a freelance travel writer/photographer for the Toronto Star, several Caribbean travel magazines, and others. Karen established Mostly Kids' Guides in 2014. She also currently writes family travel features as travel editor of Neopolitan Family Magazine, and continues working in the creative field as a location scout for the film industry. As Adventurer in Chief of Mostly Kids' Guides, Karen writes from the point of view of a reporter, a storyteller, and especially a mom.